Roll out sugar cookie dough, cut into rectangles and bake. 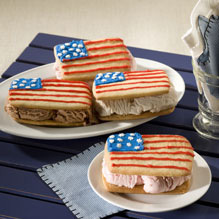 Decorate half the cookies with red, white and blue icing to look like American flags. 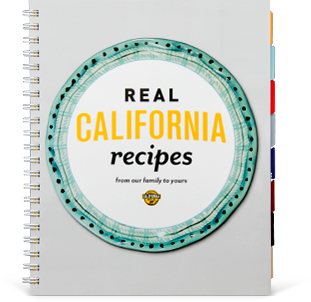 Place a scoop of any flavor Real California ice cream on undecorated cookies, spread with a small spatula and top with a decorated cookie. Freeze.